May 14, 2015 April 18, 2019 - The 'Noms. 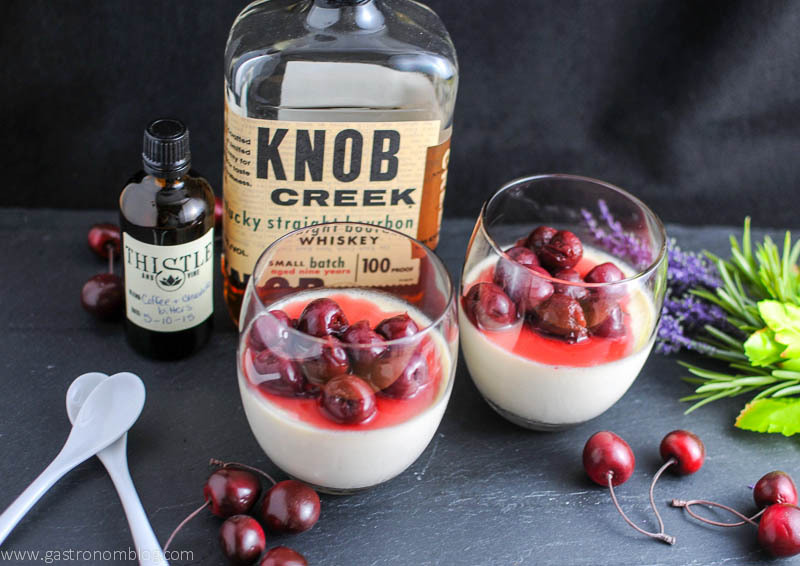 An easy boozy dessert, this one hits all the flavors of the classic Old Fashioned cocktail, but in Panna Cotta form. 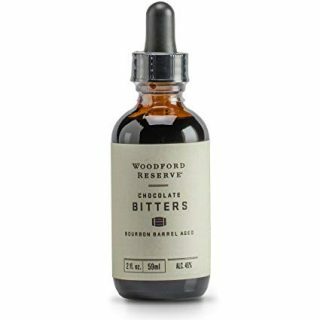 We always talk about how bitters are a valuable ingredient in making cocktails, but they can also be used to add flavors to food as well. Wanting to use our newly made Coffee and Chocolate bitters for a cool recipe we decided to make a perfect after dinner treat. Many people finish a fancy meal with a nice cup of coffee, a chocolate and a nice drink. 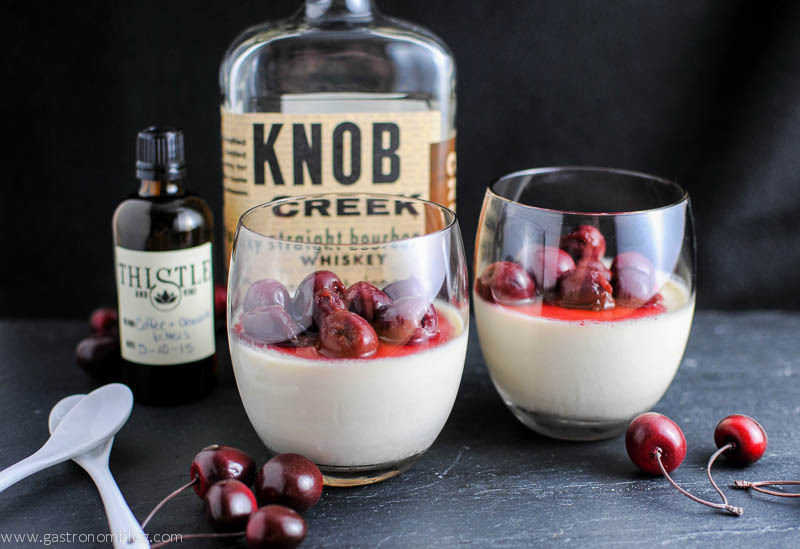 In that spirit we combined all three into the Old Fashioned Panna Cotta, an elegant custard full of classic digestifs making this a great way to top off your meal. So we topped it with a mixture of brandied cherries. 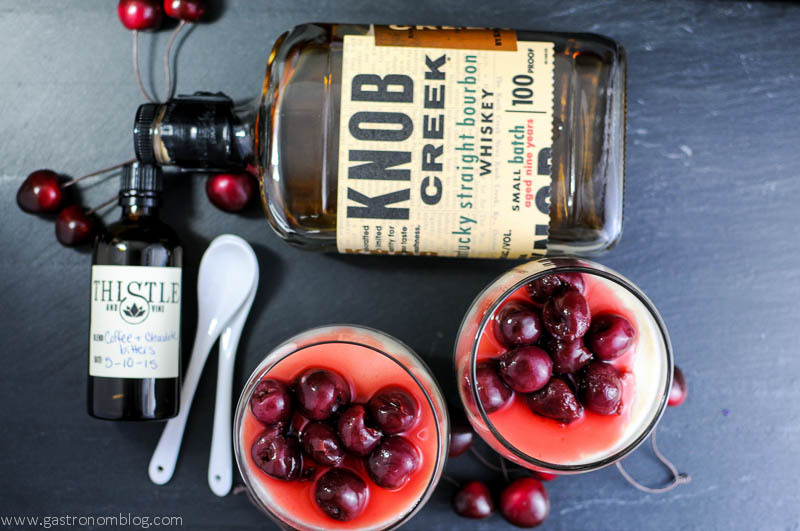 This is a combination of cherries, sugar and bitters, sort of a fruit preserves that makes for a boozy topping. The bitters in both the panna cotta and the cherry topping gave a deep richness that pulled the two together into a dessert that tastes like the classic Old Fashioned cocktail. We topped it with our own homemade Brandied Cherries. We didn’t get any pictures of us making the panna cotta. The process is not overly photogenic, but we got some great ones of the finished results. 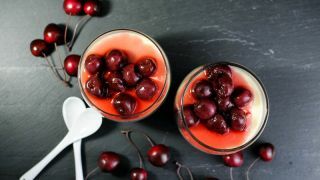 If you don’t feel like making the brandied cherries (although we know of no reason why you wouldn’t want to!) you can use any fruit you would like. 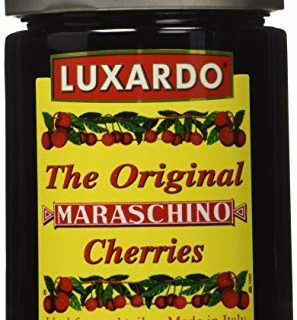 There are also Luxardo Cherries that you can use! 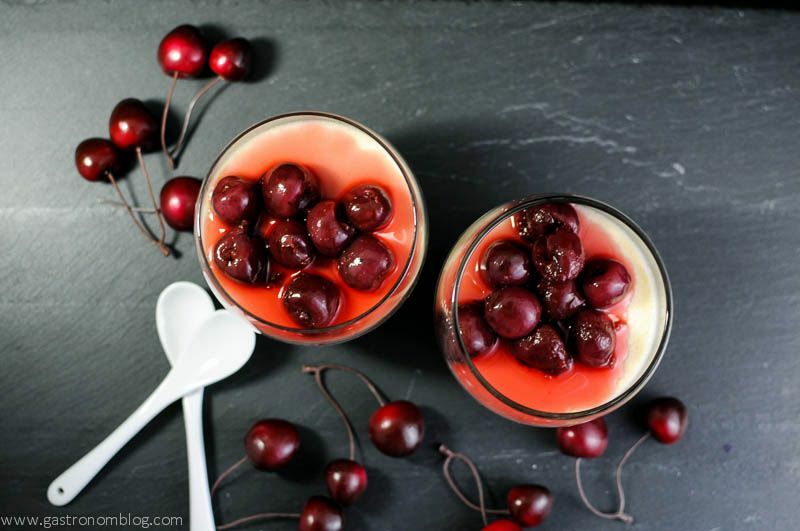 What Ingredients are Needed for the Old Fashioned Panna Cotta? 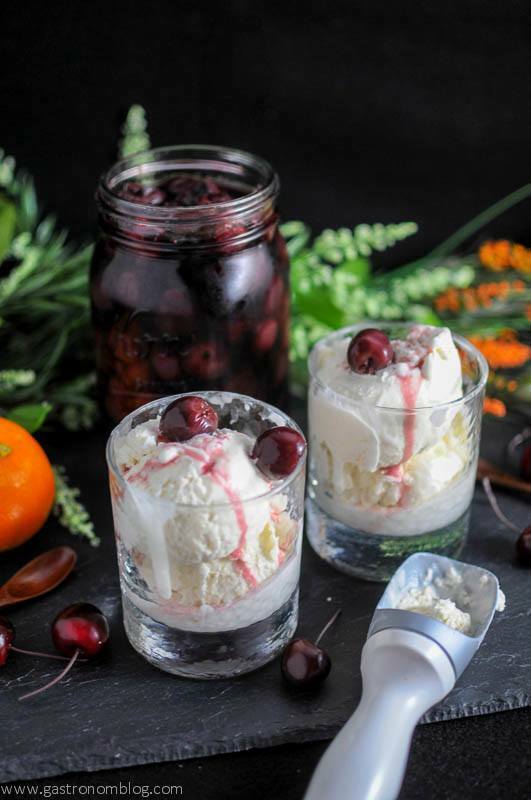 A great boozy dessert that is perfectly cool and refreshing. Pour 1/4 cup milk into a small bowl, sprinkle with gelatin. Let stand until it is soft, about 15 minutes. Combine the remaining milk, cream and sugar in a medium saucepan. Cook over medium until the sugar is dissolved and the liquid is at a simmer. Add gelatin mixture to saucepan, stirring until the gelatin is dissolved. Remove from the heat, stir in bourbon, and add 4 dashes of bitters. Divide into 2 serving dishes. Chill until set (can take up to 6 hours). This sounds AMAZING! I will be making this for sure! It is! Let us know what you think! LOL! I agree! Wine, liquor, beer, it can all be done! Now, I just need the time! Looks Divine Leah and so delicious. I appreciate the way you have simplified the recipe so one cannot find an excuse to try it out. It is super easy to make! And, you can make it your own flavor! Oh my soul! Sounds and looks amazing! Your pictures are fantastic! You can absolutely make it without alcohol. 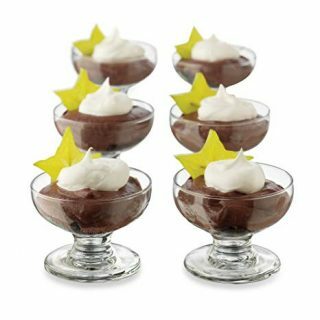 Just add vanilla or almond extract (about 1 Tablespoon) and you would be good to go! Your blog is beautiful! I love the photography. This looks AMAZING. 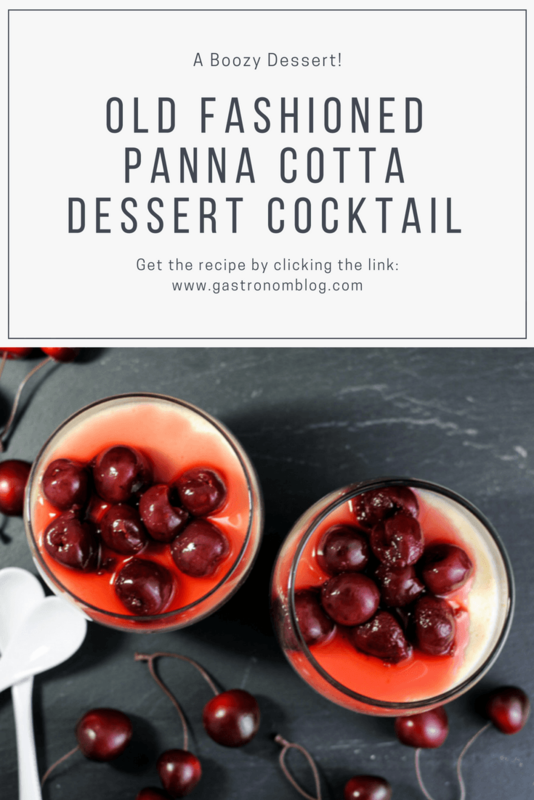 I have always wanted to try making panna cotta and thought it would be too hard. Looks do-able to me and the topping WOW. Thank you for the recipe! Thanks so much! Let us know if you try it! It is chilling in the fridge right now (just put it in about five minute ago)! The grocery store only had Rainier cherries, so they won’t be as dark, but if I did it right hopefully they’ll be as delicious LOL! Will let you know how it turns out. I am glad you liked it! 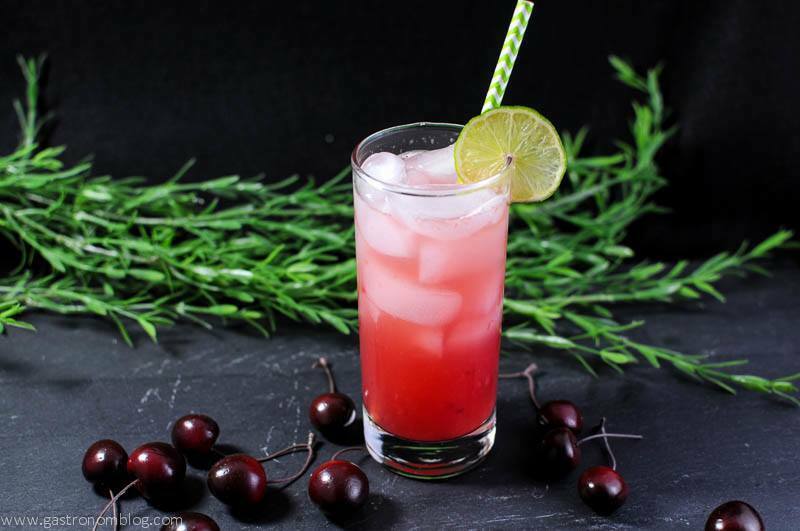 Now the next thing to try to really take it out of this world is to take some of those cherries and make the brandied cherry recipe and use those instead of doing the bourbon soaked cherries. They get such a depth of flavor that gets really intense. So glad you liked it! Thanks for sharing and letting us know you liked it! Wow! This looks incredible and can’t wait to try it out!! Let us know how it turns out if you make it! That sounds like it would be delicious! Yummy! 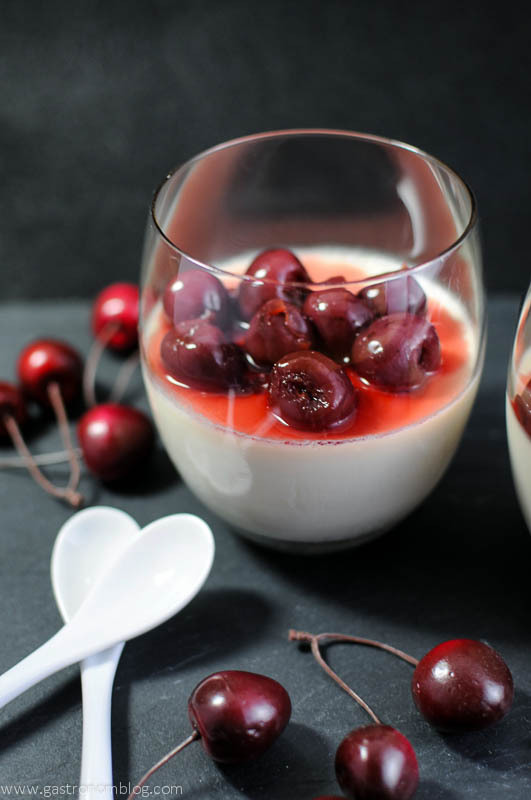 I made a panna cotta a while back and went with strawberry as the side flavour but whisky and cherry sounds heavenly! It really was fantastic! It was a dessert and cocktail all in one! Thanks so much! We will check it out!